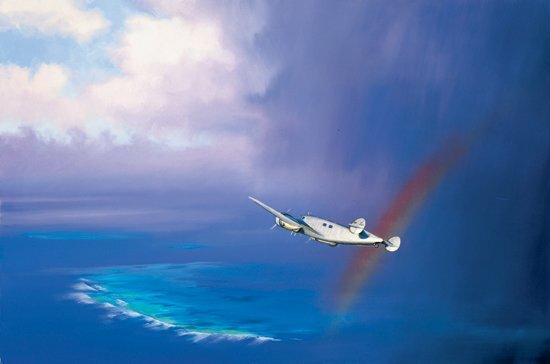 Almost 20 hours out from Lae, New Guinea, on the morning of July 2, 1937, Amelia Earhart and Fred Noonan are lost over the vast expanse of the Pacific Ocean. After more than a month circling the globe in a highly modified Lockheed 10 Electra transport, they are trying to make Howland Island, then Hawaii, before finishing the flight in California. After her last communications with the Coast Guard cutter Itasca, waiting for the aircraft off Howland, she and Noonan disappeared forever in a mystery that has never been conclusively solved.